Teacher John Schulien grew up in Montville and attended Boonton High School before MTHS was built. After attending the University of Wyoming on a football scholarship, in 1977 he returned to his roots and began a career at MTHS that spanned four decades. In that time he coached successful football and basketball teams and founded the ski club, which continues to this day. 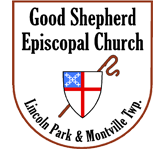 John and his wife Barbie are very active members of Good Shepherd Episcopal Church. We're so happy and proud to recognize one of our own!